Did you know it’s National Picnic week – yeah, all week! Us Brits have a unique way of throwing a picnic – forget Susie Watson blankets and hampers bursting with food and wine I’m talking about weather watching, angry wildlife, damp patches, hay-fever attacks, hyper dogs, grass everywhere, too much food and who forgot the corkscrew? 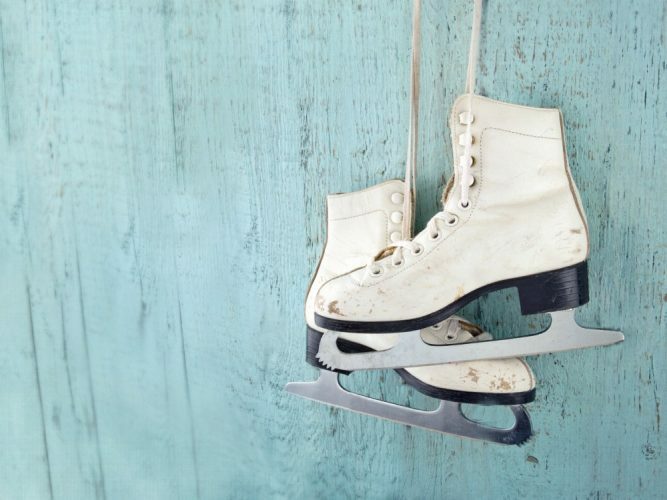 With the stunningly hot weather do we need an excuse to celebrate this event? Phone some friends, grab your stripy picnic blanket and get set for a chilled afternoon of socialising and a chow down. Here are the top hot spots to spread your rug this summer. An idyllic stretch of river, which flows past Houghton Mill NT, the oldest working mill on the Great River Ouse. 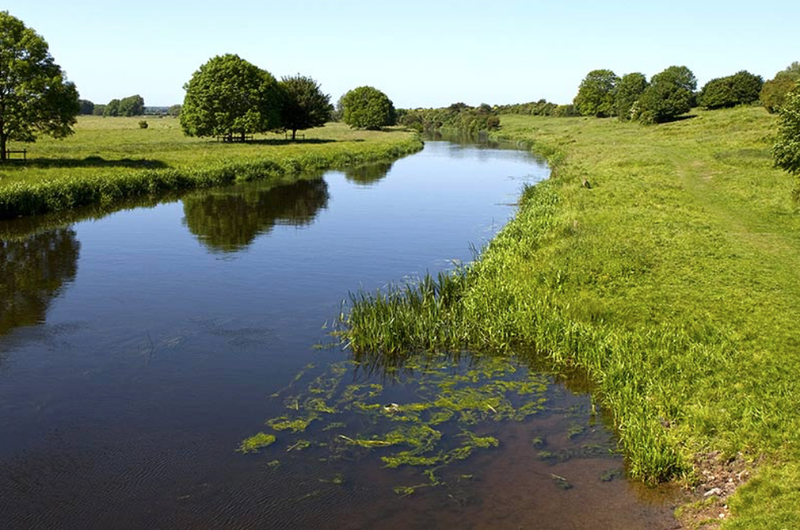 Follow the footpath that meanders through traditional water meadows to find your chosen base camp. It’s a great spot for kids with nets, there are bridges over the river to explore and in hot weather you’re likely to find a few people cooling off in the Mill Pond. We love: Got some form of landing craft – a kayak or canoe? Launch it at The Mill and then head upstream to find a bucolic riverbank for a picnic. If you don’t happen to have a boat up your sleeve then you can hire one from local company, Houghton Boats (canoes and rowing boats, £10 and punts £12 per hour). 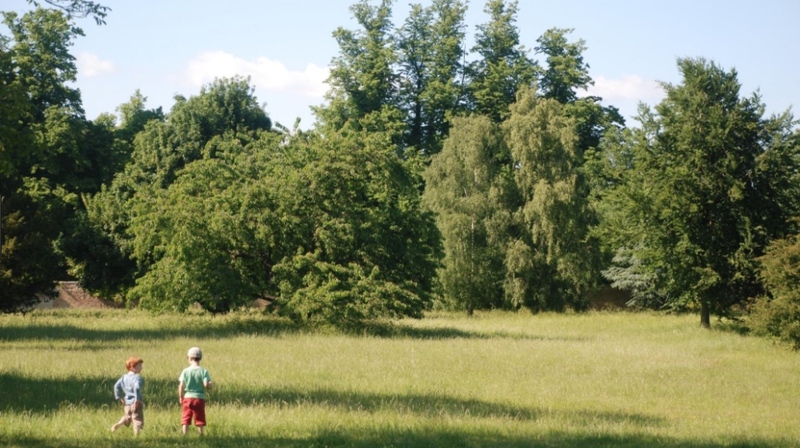 On top of the Magog Hills (you see there are some hills in the big sky county) just south of Cambridge, Wandlebury is the city’s original country park. Eights mile of tranquil countryside with views that reach as far as Ely, you’ll feel like you’re a zillion miles away from a bustling city. The attraction of this park is that it is uncommercialised so don’t expect play parks, restaurants and activity zones – you’ll need to bring your entertainment with you (and food) but that’s the appeal of this place. BBQs are allowed and dogs as long as they’re kept on a lead. We love: Keep an eye out for Tilly the Travelling Tearoom, a refurbished 1960s Mini Glen caravan who brings vintage tea to Wandlebury most Sundays during the summer. Failing that the award winning Gog Farmshop – a farmshop, deli and cafe – is nearby so stock up on food en route. If you’re looking for somewhere to eat your sarnies not far from the centre of Peterborough then you won’t find a better place than Ferry Meadows. It’s a myriad of lakes, woodland and meadows just asking for a game of hide and seek. If you want some exercise before you tuck in then this beautiful and unspoilt spot offers walking paths (good for buggies), cycling, horse-riding, fishing – oh, there’s a quaint little train for the tiddlers and the dog can come too. Wooden play structures blend in along the walking tracks so pick a spot near one and you’ll guarantee a couple of hours peace. It got a big thumbs up from the Muddy readers as it won Best Family Attraction in the Muddy Awards 17. We love: Fancy lighting the Barbie? There are several permanent BBQ stands available on a first come, first served basis or grab a few disposable ones and cook up a feast for your mates. We don’t have many islands in landlocked Cambridgeshire and this little known nature reserve – it’s 7 acres in total, is a hot bed for native tree species and wildlife. Holt Island offers a quieter retreat if you’re looking to escape the crowds. The reserve has a circular boardwalk and there are a few picnic benches in the sheltered open meadow in the centre of the island. 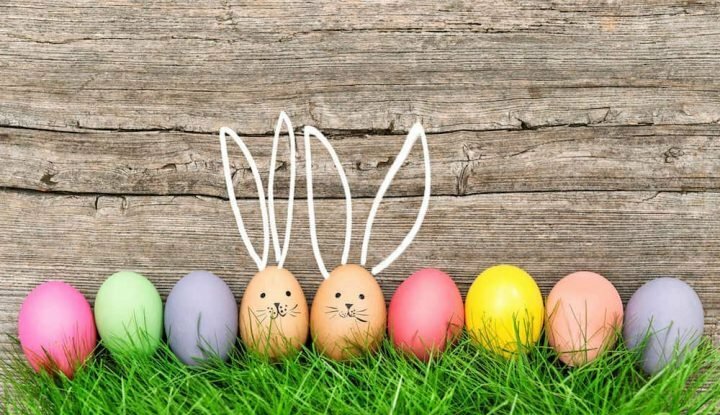 It’s open at weekends and bank holidays, any other time (Apr – Sept) you’ll need to pick up the key from One Leisure St Ives and the Norris Museum. We love: Gasping for a cuppa after your boardwalk then pop along to Little Acre Kitchen in St Ives – a pretty cafe where everything is handmade, in in small batches and using as much locally sourced ingredients as possible. It’s only a short walk away and it’s another Finalist in the Muddy Awards 17. Granthcester Meadows are a long established picnic spot for those enjoying all that Cambridge has to offer. They can be reached by walking across Lammas Land by the river Cam and following it along to the pretty village of Grantchester – yeah, you guessed right it’s home to the vicar-turned-sleuth drama. If you don’t fancy the walk then hire a punt and work your way up the river using a pole. Don’t be surprised to see people taking a dip up this part of the river when the weather’s hot – it’s the local wild swimming haunt. We love: If you’re picnicking during the day then pop into the Orchard Tea Gardens in Grantchester and take tea under the trees, like the Bloomsbury Set or opt for a glass of fizz, a cream tea or a well earned ice-cream. 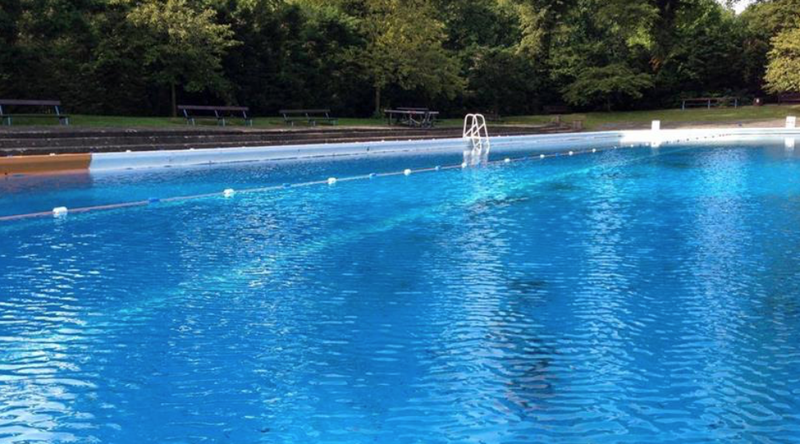 If the weather continues to pump out at over 30° we’ll be flocking to the Jesus Green outdoor swimming pool in our thousands. One of two outdoor lidos in Cambridgeshire (the other is in Peterborough) this swimming pool has a grassed area on two sides of the pool and picnic tables scattered around. I suggest an early bird party would be prudent in the summer hols and weekends, and on a busy day this certainly wouldn’t be quiet and tranquil but it will cool everyone down. We love: Bridges Cambridge offer an extensive take-away menu, whether you’re looking for tasty open sandwiches or something a little healthier such as a stir fry or salad box. 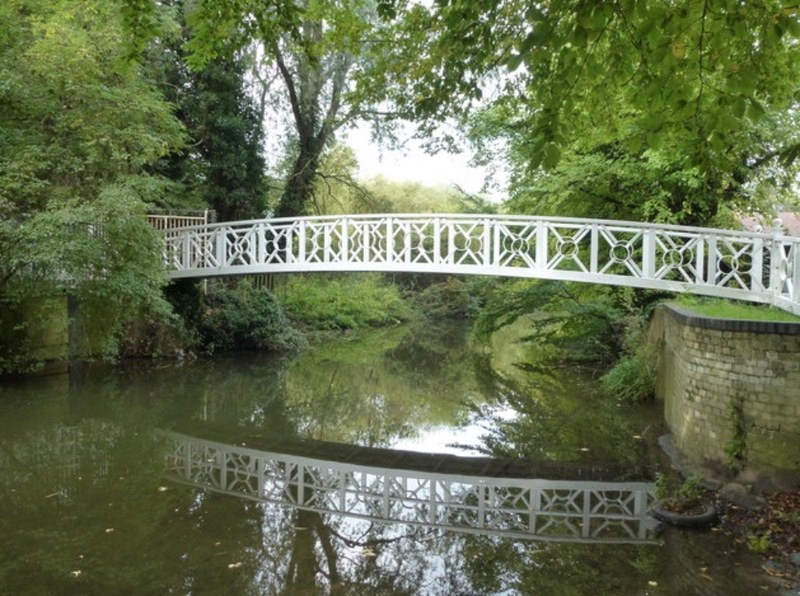 Located on Bridge Street near Magdalene Bridge they also sell freshly squeezed juices and coffee so send a runner to pick up the order and enjoy your picnic in Jesus Green. Anglesey Abbey is another one of my go to NT places in Muddy Cambs. The 46 hectare garden, with its working watermill, wildlife discovery area and statuary offers inspiration and planting for all seasons. If you’re lucky enough to be without ankle biters explore the stunning gardens and, if you have the little darlings in tow, I suggest you head straight to the Hoe Fen Wildlife Discovery Area for a family adventure in the woods. There’s the giant Limetree Lookout Treehouse, the natural play area to burn off excess energy and trial the new fort that’s just been built. 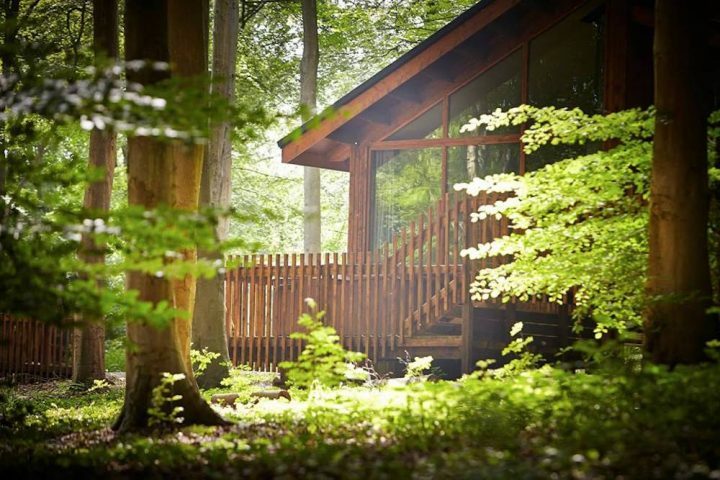 We love: If the kitchen cupboards looked a little bare, don’t sweat as the Snack Van, a converted 1960s horse box will be found lurking round by Anglesey House and Nature’s Wild Diner hangs out near the Lime Tree Lookout treehouse serving up tasty picnic treats in the school hols. Who says you have to have a picnic on land, grass is so overated anyway. Punting is a Cambridge institution and what better way to explore the mganificant River Cam than by water. 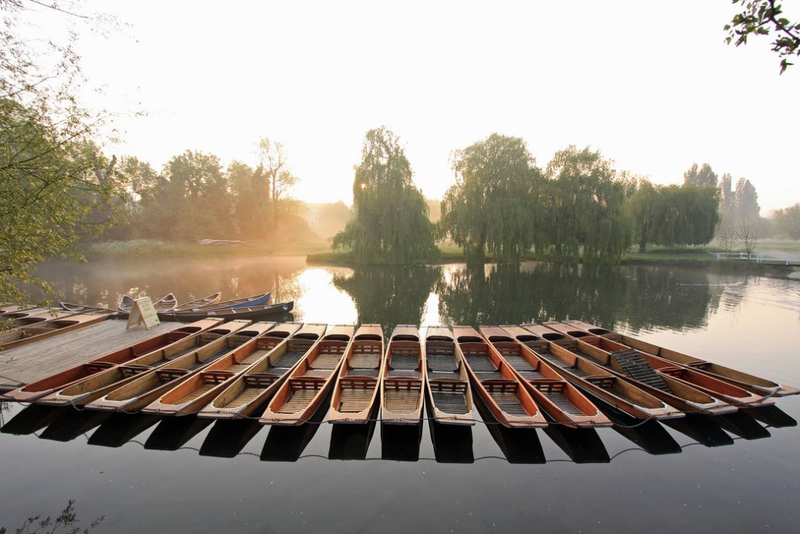 There are heaps of punt companies touting for business at this time of year; Granta Moorings are based at the Mill Pond and Scudamore Quayside Punt Hire Punts are at Magdalene Bridge. Load up the picnic and tackle the famous bridges – the Mathematical Bridge and the Bridge of Sighs – whilst scoffing a sausage roll. 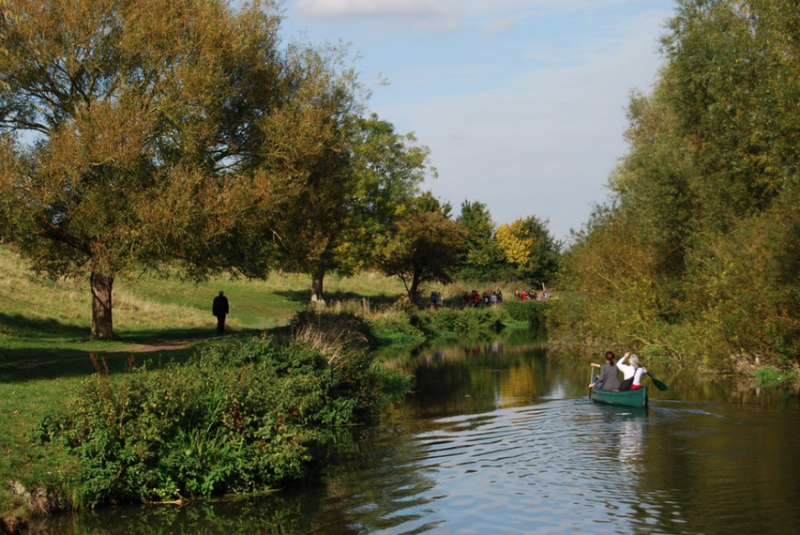 For a less hectic ride, head out on the upper river past Lammas land towards Grantchester. 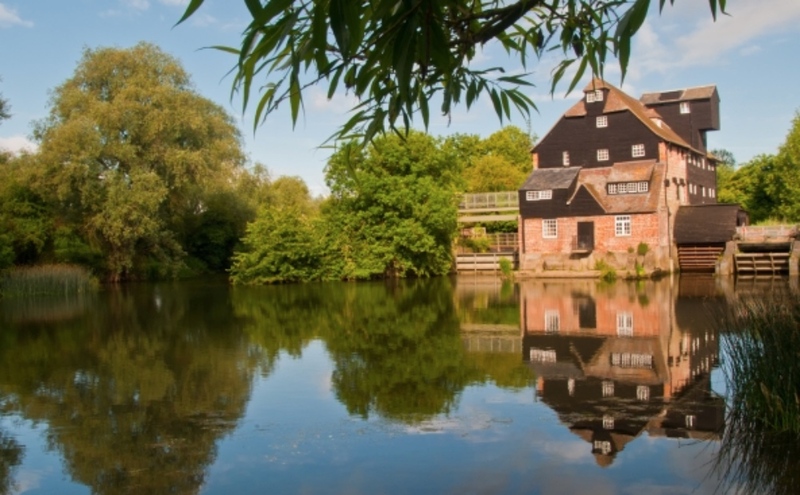 We Love: MillWorks Brasserie are based at the Mill Pond and they will pack you up a delicious picnic and deliver it to Granta Moorings ready for your arrival, if you give them a little notice (24hrs to be exact). Fed up of stale sandwiches – we’re talking delights like roast vegetables with red pepper cous cous and mackerel pâté with artisan read all swigged down with the essential Presecco or Pimms. Interested? Order it through Granta Moorings. If you have your fave go-to local picnic spot that I have failed to include then do share in the comments box below. I’d love to hear your comments and I’ll always respond.